United States Boxing Association (USBA) featherweight champion Jose “Pepito” Haro (14-1-1, 8 KOs) is suffering from unfair blowback for the accidental role he played this past summer, in which his opponent, Daniel Franco, nearly died from injuries resulting from their nationally televised fight in Idaho. The 3-2 underdog Haro, fighting out of West Jordan, Utah, dropped Franco with a chopping right in the eighth round, soon followed by a crisp combination of devastating punches, which resulted in a knockout victory and the USBA title for Haro. Sadly, Franco (16-2-3, 11 KOs) was sent to Mercy Medical Hospital, where he underwent two brain surgeries to relieve pressure caused by brain bleeds. He came out of a medically induced coma and, fortunately, Franco continues to recover at home in California from what his father/trainer, Al Franco, has described as a miracle. Haro hasn’t fought since that fateful night in Iowa last June. Whitfield Haydon, who serves as Haro’s agent, is a veteran Southern California matchmaker, perhaps, best known for discovering under-the-radar boxing talent such as Haro. 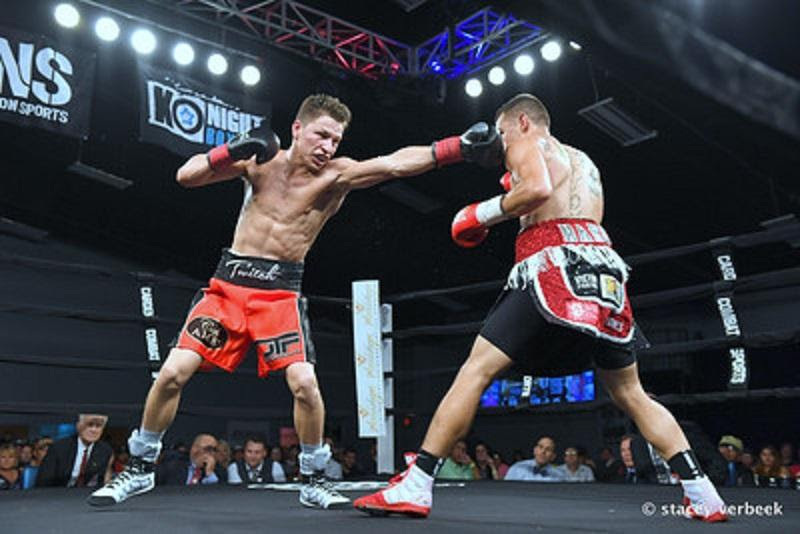 It appeared that Haro was finally going to catch a big break in late October, when Haydon was contacted about a non-mandatory title fight for Haro with International World Boxing (IBF) Featherweight World Champion “Lightning” Lee Selby (26-1, 9 KOs). The Selby vs. Haro world title fight contract was reportedly being drawn up and Team Haro had agreed to promotional options in the event of him winning. Suddenly, though, communications with Team Selby went dark. Team Haro later learned that Selby had gone in another direction, Eduardo Ramirez, who Selby defeated by way of a 12-round unanimous decision December 9 in London. Haro, who was a member of the USA Junior Olympic Boxing Team during his amateur days, isn’t 100-percent sure why he’s not being offered good fights, but he does blame most of it on boxing politics. Boxing is the most unforgiving sport, boxers risk their lives every time they walk up the three steps into the ring. The aftereffects of a boxing tragedy like this is traumatic for all parties involved. Nobody knows that better than the 30-year-old Haro. Ranked No. 15 in the world by the IBF, Haro works fulltime for Pepsi, putting product on shelves at supermarkets in Utah. The father of three girls and two boys, the hard-working Mexican-American starts at 3 a.m. and works until 12 noon, then goes home to watch his children because his wife, Yesenia, also needs to work to make ends meet. Losing the opportunity to fight in his world title fight against Shelby was another example of what Haro’s been facing the past six months. “I’m not much of a talker,” he admitted, “but I won’t be used for leverage. I won’t’ be used as piece of meat. I’m not taking a fight just for the money, I’m going in the ring to give it my all to win for me, my family and team. For Haro and Haydon, they’re both due for a big break in 2018.